Ascension of the Prophet Muhammad was when Allah (God) had Muhammad go from Mecca to Jerusalem and from there into heaven. This holiday happens on the 27th day of the month of Rajab. People can spend some of the day in prayer and reflection of the days meaning. 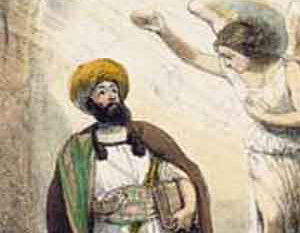 Prophet Muhammad was believed to be told by Allah (God) to go to Jerusalem from Mecca. In Jerusalem Allah (God) took Muhammad to heaven.